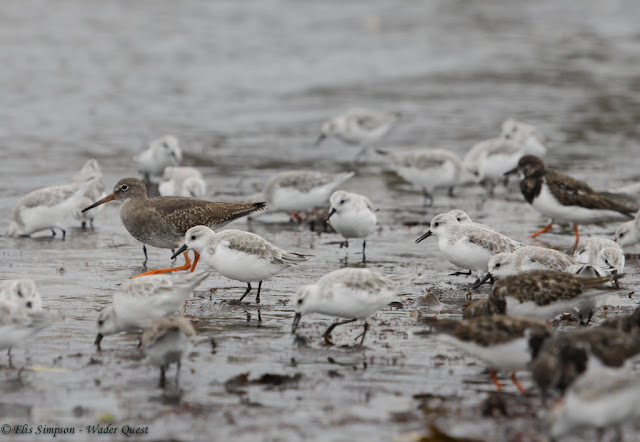 Wader Quest: Walney Wader Festival returns for its second year. Walney Wader Festival returns for its second year. 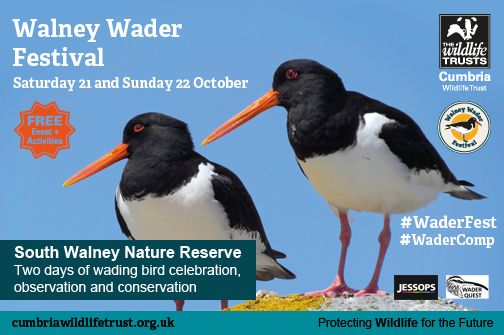 Last year saw the inaugural Walney Wader Festival that took place on South Walney Nature Reserve run by the Cumbria Wildlife Trust. We are happy to say that it will be running again this year and it is this coming weekend the 21st and 22nd of October. Once again we will be there and will give a talk on each day, on Saturday it will be an introduction to Wader Quest and on the second it will be "The state of UK waders" looking at the conservation of our native species. 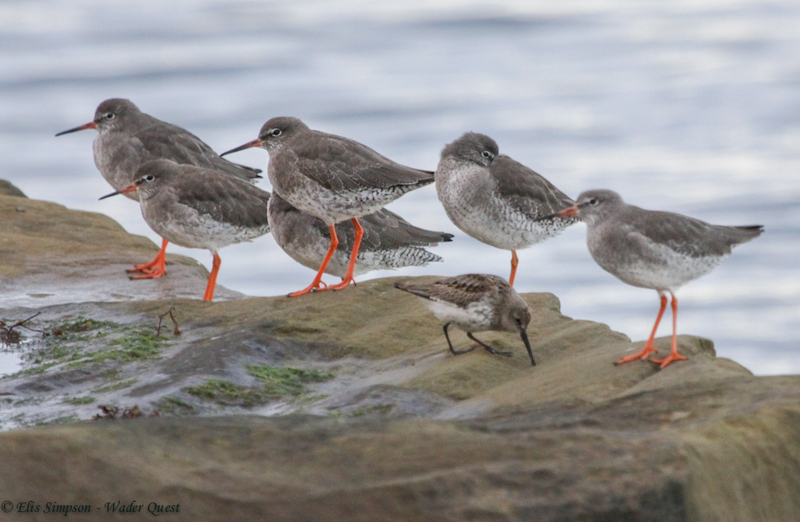 There will be guided walks around the reserve and exciting 'Stranded on Foulney Island Experience', in addition to ours there will be more talks and a great photo competition to look forward to. For full details go to this link and make a note in your diary to visit on either one or both days. 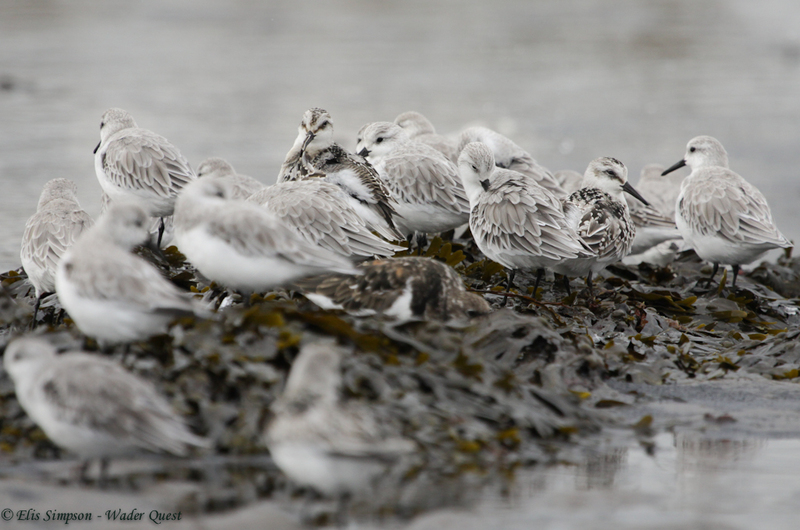 We look forward to meeting old friends and new and to sharing our passion for waders. Come and tell us your wader stories and find out more about wader conservation. You can browse our Wader Quest collectables and enter our raffle with a chance to win this fantastic original oil painting by Steve Cale; tickets are just £1.